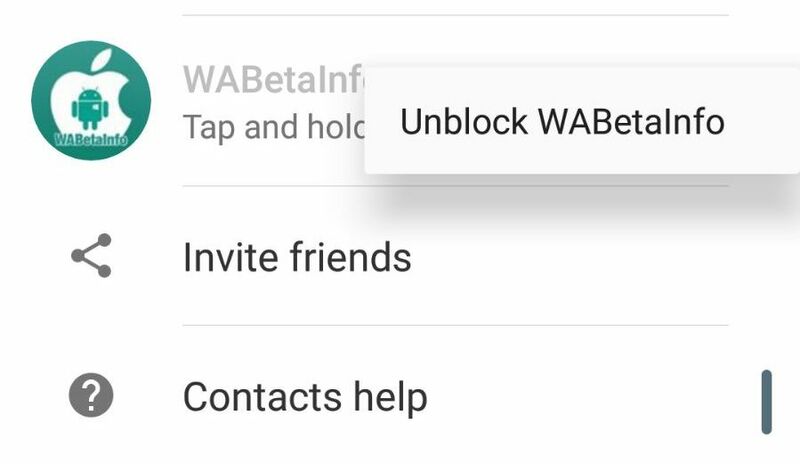 When you want to select a contact from the Contact List, you can easily chat to blocked contacts simply unblocking them using the new action: tap and hold the cell to unblock and send a message. This is visible only to administrators. In future you will be able to shake your device while you are in a chat to report something wrong to WhatsApp! 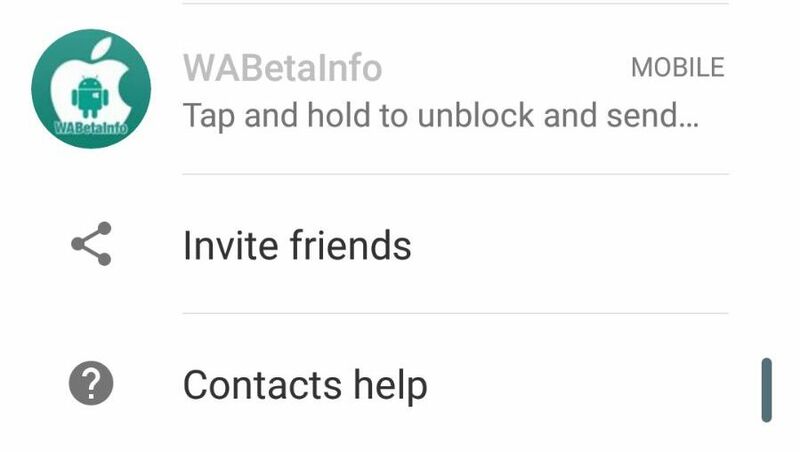 This action will open the Contact Us section, where your logs can be sent to WhatsApp to help them to investigate. This should work only in the beta version when WhatsApp will enable it (this isn’t currently available yet). We have recently talked about the possibility to see in WhatsApp a new option that will allow to make a group call (lost the post? You can find it here). We talked about some hidden references in the iOS app that should confirm all, and we see that WhatsApp showed in a new blog post, about the Live location feature, a screenshot of a group where voice and video call buttons are visible. We found today other new hidden Android references that confirms that also group video calls will be supported, and it will be possible to make a group video calls with other 2 participants (so in the group video call there will be 3 participants, including who started it). 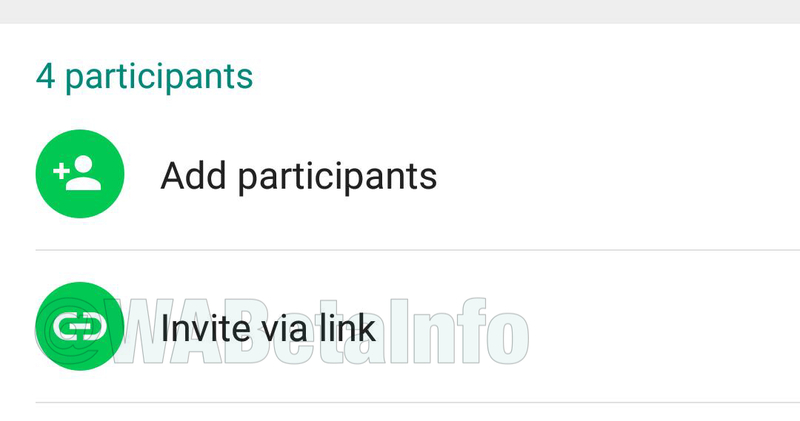 Note that we don’t exclude the possibility that WhatsApp will allow to add more participants in a group video call before the official release of the feature. Some technical details: everytime a new participant is added in a group voice or video call, the encryption key changes, as well as when participant leaves it, so the participant that left the group call won’t be able to secretly access into it again, so all group participants clear their Sender Key and start over the call. For specific details, you can download this PDF tapping here (official WhatsApp documentation about the encryption). You will be able, in future, to find a new section called Admin Settings, where there will be two options: Send messages and Edit group info. 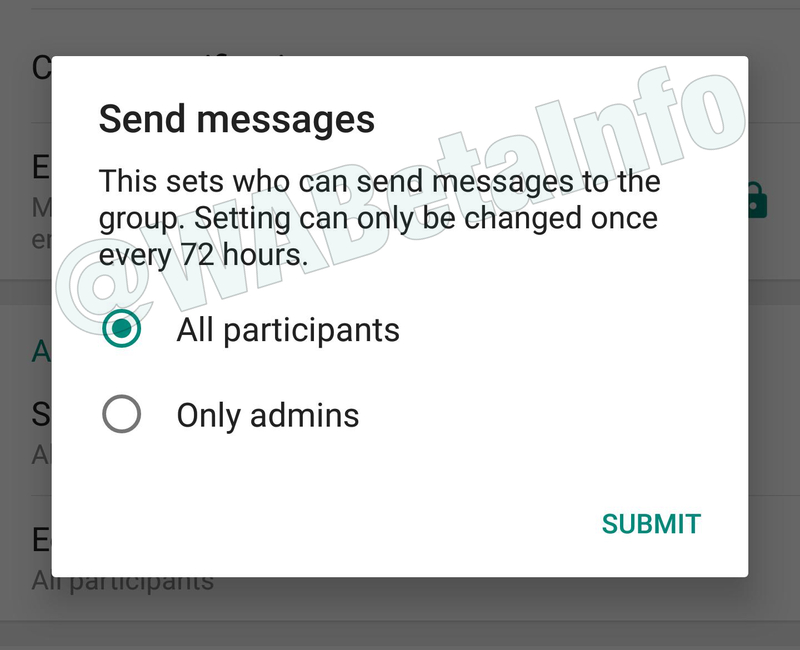 Send messages: using this option, an administrator will be able to disable the chat features in the group for all participants, except for administrators. This option can be changed once every 72 hours, but WhatsApp can change this value from their servers. 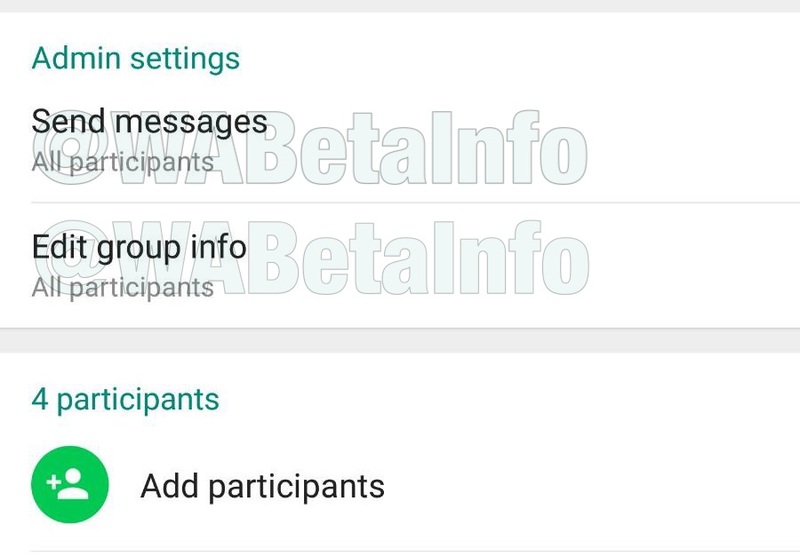 We talked so much about this feature in the New group experience in WhatsApp beta for Android 2.17.404 post. Edit group info: using this option, an administrator will be able to choose who can change all group info (group description, group picture). As you can understand, these two options will be available in future only for administrators: this means other participants won’t be able to see this section in Group info. Previous PostPrevious WhatsApp Web 0.2.7304: what’s new? Next PostNext WhatsApp Web/Desktop 0.2.7315: what’s new?